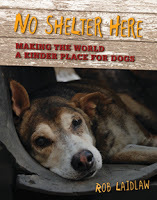 Whether you are a young activist wanting to help dogs or a family considering adopting a canine family member No Shelter Here is a good book to read. 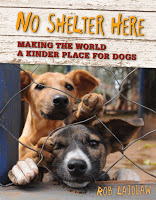 Since it deals with issues affecting dogs, how to make things better for our four-legged friends, things to consider before adopting a dog as well as ways to ensure a good life for an adopted dog, this book should be available in libraries – including school libraries. 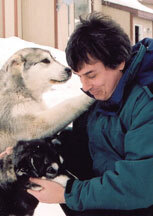 Animal advocate [Rob] Laidlaw has a bone to pick with the way some of the world’s 500 million dogs are treated. After identifying what all dogs need, the author takes a hard look at puppy mills, free-ranging dogs, dogs that are constantly chained, and dogs submitted to devocalizing and appearance-altering surgeries. While some dogs have healthy “careers” as dog sniffers, rescue dogs, and therapy dogs, the engaging text explains the perils for greyhound and sled-dog racers, as well as dogs used for scientific research. But not all dogs have it bad. Numerous profiles reveal how “Dog Champions” have initiated grassroots efforts to provide better services and protection to canines. For readers looking for their next best friend, Laidlaw explains how and why to adopt a dog and the various kinds of shelters available. 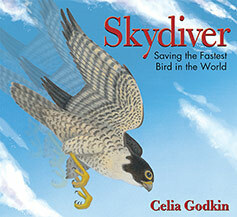 Abundantly stocked with color photographs and supplemented with online resources and a glossary, this book invites children to pause and consider our friends who have paws.